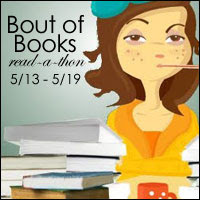 I’m looking forward to participating in Bout of Books again! I had a fun time in January during the 6.0 read-a-thon, and I’m in the same boat now as far as time commitment goes (again no rehearsals in the evening, but I do have normal workdays so I’m limited to participating during lunch hours and in the evenings). Goals post coming soon!